As gridlock continues to be a problem in the United States, exacerbated by crumbling infrastructure, the American public has reportedly approved up to $200 billion for rapid and mass transit. The largest measure in the country, Los Angeles County’s Measure M, was passed with 69% approval with all precincts reporting. The sales tax increase needed a two-thirds majority to pass and is expected to raise $US 120bn over 40 years to help fund transport improvement projects, including Los Angeles County Metropolitan Transportation Authority (LACMTA) schemes to connect Los Angeles International Airport to LACMTA’s Green Line, Crenshaw/LAX line and bus services; extend the Purple Line metro to Westwood; extend the Gold Line 11.7km; extend the Crenshaw Line north to West Hollywood; and build a 6.1km downtown light rail line. The measure will also provide $US 29.9bn towards rail and bus operations, and $US 1.9bn for regional rail. Yet, despite the public’s continued desire to see greater investment in transit, historically transit has received only a small minority of funding at the federal level. Currently, only 20 percent of available federal transportation funds are invested in transit and just 1 percent of funds are invested in biking and walking infrastructure. Meanwhile, 80 percent of federal transportation dollars continue to be spent on roads. “While many localities recognize the need to invest in transit, biking, and pedestrian solutions that can bring our transportation system into the 21st century, federal officials remain woefully behind the curve,” said Olivieri. “While it is great to see such widespread support of transit at the local level, the need for these measures speaks volumes about how out of sync federal decision makers are with the wants and needs of the American people,” he added. The nation currently faces an $86 billion transit maintenance repair backlog, while data from the Federal Highway Administration’s National Bridge Inventory show that despite the large discrepancy at the federal level between investment in transit and spending on roads, the nation’s road system is in similarly bad shape. 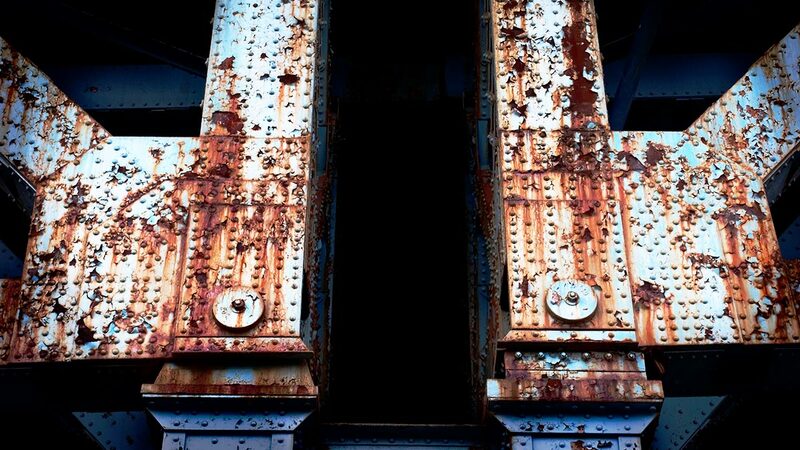 To date, more than 58,000 bridges remain structurally deficient. Bridges are crumbling, buses are past their prime, roads badly need repair, airports look shabby, trains can’t reach high speeds, and traffic congestion plagues every city. How could an advanced country, once the model for the world’s most modern transportation innovations, slip so badly? The glory years were decades ago. Since then, other countries surpassed the U.S. in ease of getting around, which has implications for businesses and quality of life. For example, Japan just celebrated the 50thanniversary of its famed bullet train network, the Shinkansen. Those trains routinely operate at speeds of 150 to 200 miles per hour, and in 2012, the average deviation from schedule was a miniscule 36 seconds. Fifty years later, the U.S. doesn’t have anything like that. Amtrak’s “high-speed” Acela between Washington, D.C., and Boston can get up to full speed of 150 mph only for a short stretch in Rhode Island and Massachusetts, because it is plagued by curves in tracks laid over a century ago and aging components, such as some electric overhead wiring dating to the early 1900s. This entry was posted in Energy Efficiency, Material Science, Pollution, Sustainability, Sustainable Development, Transportation and tagged Aluminum, BART, Infrastructure, Mass Transit, Rapid Transit, United States by duanetilden. Bookmark the permalink. Interesting article! 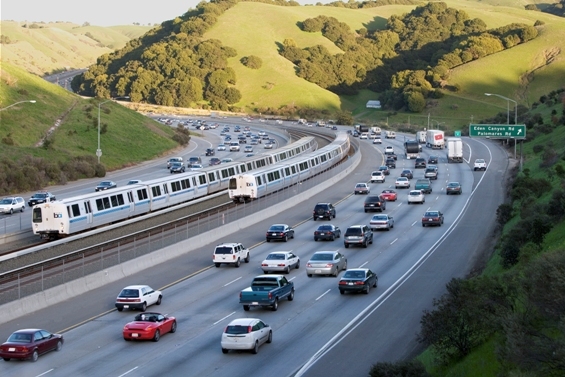 Well, even though it feels bad to be an American these days, it sure does feel good to be a Californian with all of the state interest in sustainable engineering and mass transit. Thanks Isaac. California has a lot going for it, and yet there is so much more to be done. It could lead the US in mass and rapid transit, for which there is a great need. Reducing the overall carbon footprint, pollution and enhance the quality of life for all. This would be a great leadership role for which the rest of the country will eventually follow. There is also great examples elsewhere in the world, so there is no need to re-invent the wheel, so to speak. Look to my other recent articles, where Germany is seeking to eliminate the ICE by 2030 converting to the EV. Renewable energy also has a lot of promise in California, I could go on, but most of it I have already touched on in my other articles. Let me know if there is something in particular that you believe needs to be discussed regarding sustainable development, and I would be interested in performing the research and write an article.